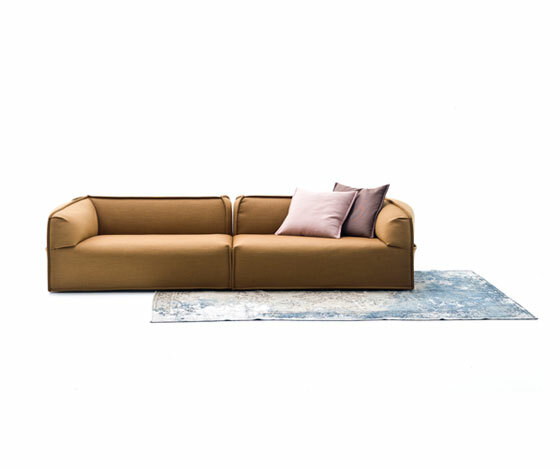 The sofa Auto-reverse by Arketipo Firenze, versatile and with a strong personality, derives from the idea of expressing a double soul in the living area. 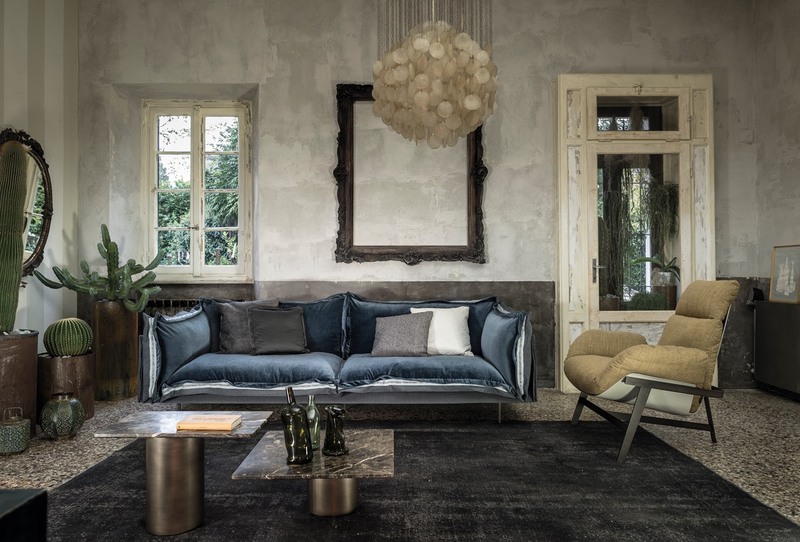 Its apparent casual and untidy look is in contrast with the order and extreme care for the details, to obtain an object with a sharp style and of high quality. 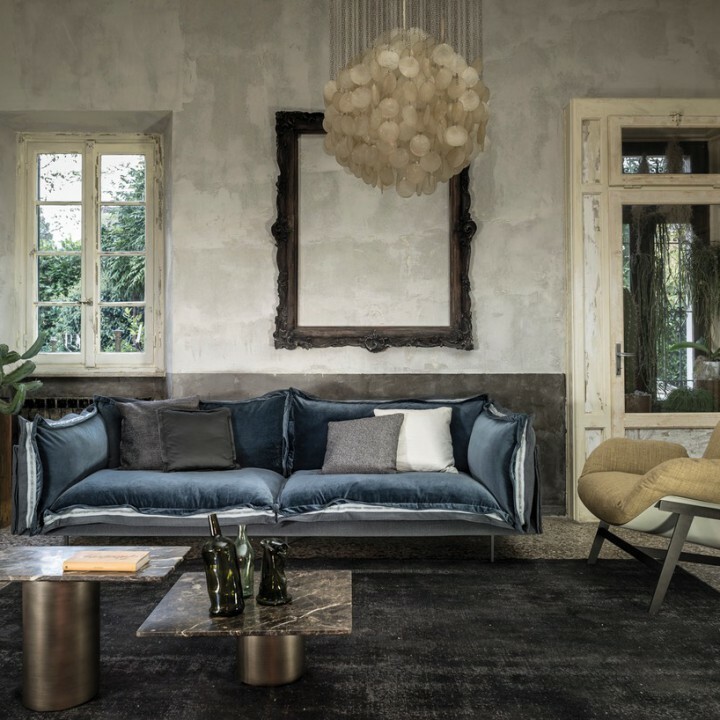 The thin structure, elegant and discreet, enwraps and contains the seat cushions, the back and the arms, emphasized by flounces all around the perimeter which grant a definite movement to the line and add a tactile and visual softness to the sofa. 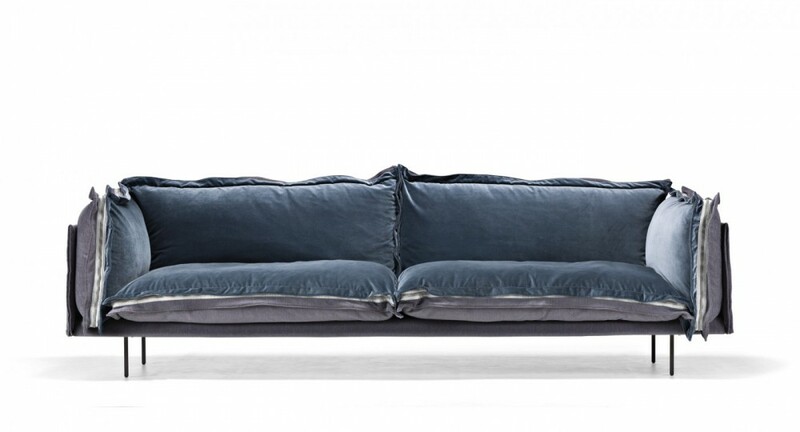 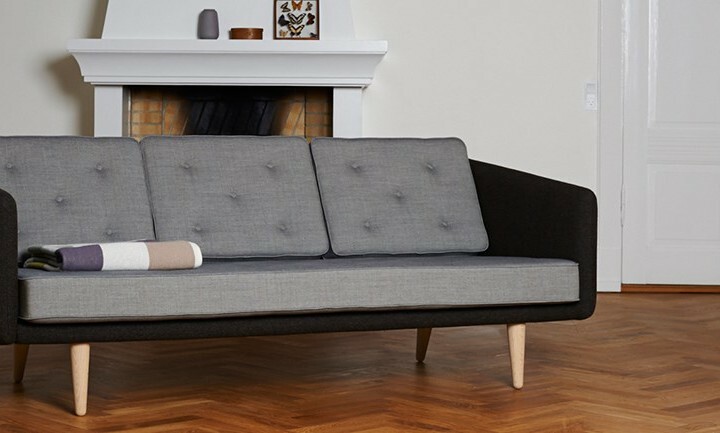 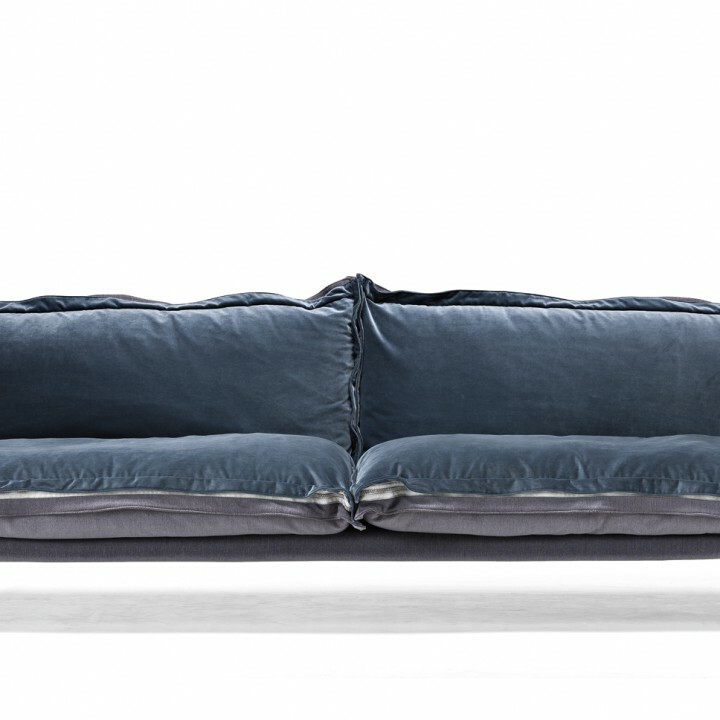 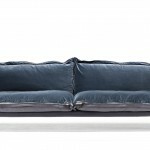 The important zip, applied to the four sides of the cushions, fastens the two-sided cover, one in leather and one in fabric, gives rigour to the sofa and underlines its peculiar design. 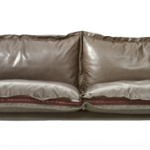 The result is a sofa in which the softness and warmth of the fabric coexists with the elegance of leather. 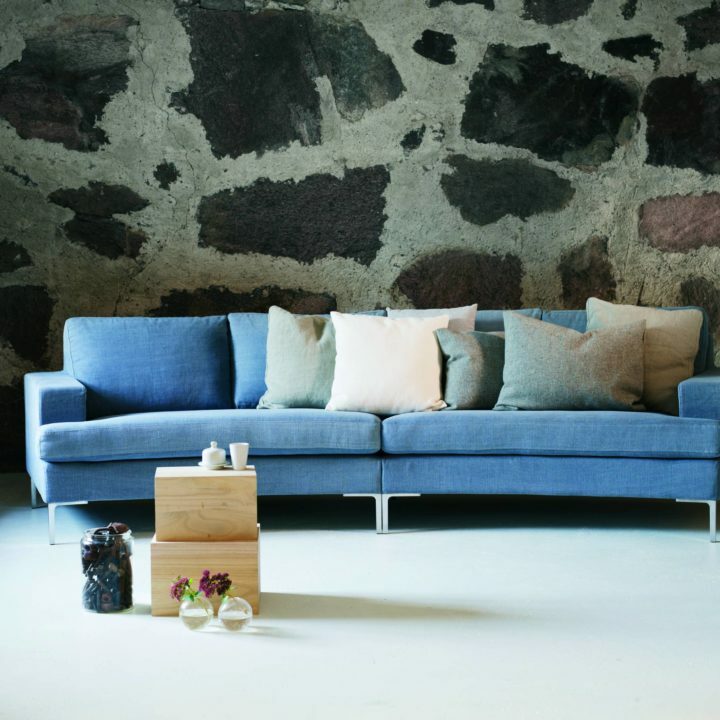 A peculiar mix of materials to create different chromatic combinations and sophisticated matches. 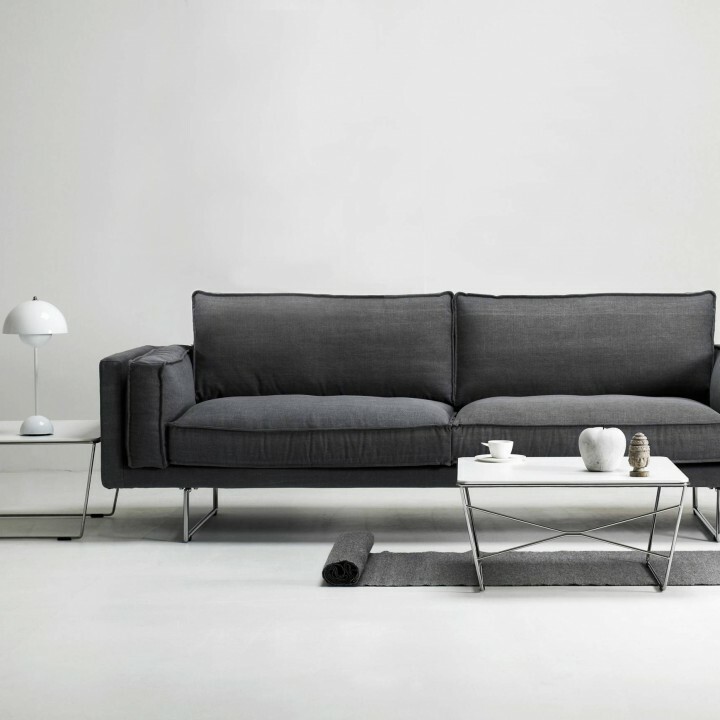 The structure seems to float above the ground thanks to the thin, minimal feet made of square section metal.